We all know the feeling when playing a video game and we are loosing lives. 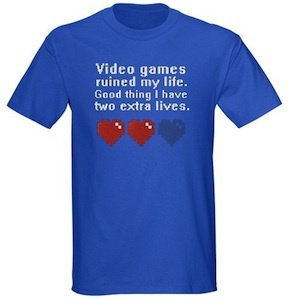 Now you can own a T-shirt that keeps track of how many lives you have left in real life. Check out this Video Game T-Shirt. Funny for the real nerd .